STEPHANIE DEAN is vice president of strategic policy advising and a senior consulting manager at Public Impact. Her work focuses on identifying and cultivating state policy conditions that help schools extend the reach of excellent teachers. She has also written and advised clients on teacher preparation, teacher evaluation, school leadership, technology in rural education, competency-based assessment systems, and the development of “learner positioning systems” to create a platform for personalized learning. She provides technical assistance to state education agencies through the Center on Great Teachers and Leaders and recently served on the policy task force for 100Kin10, a network of more than 200 partner organizations working to support STEM educators and train 100,000 excellent new STEM teachers by 2021. Before joining Public Impact, Ms. Dean led The Hunt Institute’s research and policy analysis team, identifying and analyzing key education policy issues to inform state leaders and foster information-sharing among national partner organizations. Much of her work there focused on state content standards and assessment systems. 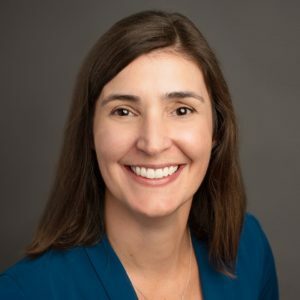 Ms. Dean has also served as a grant manager of education programs for United Way California Capital Region, where she led an advisory board to create funding priorities and a grant allocation strategy. She helped manage the Success By 6® early-childhood initiative in Portland, Oregon. Ms. Dean began her career in education teaching fourth grade in the Mississippi Delta as a Teach For America corps member. She earned her master’s degree in public policy from Duke University. Example projects: Much of Ms. Dean’s recent work has focused on policies and strategies to create career pathways within the classroom, and staffing structures that provide teachers with job-embedded professional learning. She has led joint efforts to create guiding thought pieces for the field, such as Coaching for Impact: Six Pillars to Create Coaching Roles that Achieve their Potential to Improve Teaching and Learning, produced in partnership with Learning Forward and the University of Florida Lastinger Center, and Time for Action: Building the Educator Workforce Our Children Need Now, a call to action produced in partnership with the Center for Great Teachers and Leaders and the Council of Chief State School Officers. Ms. Dean encourages states and districts to seek innovation and results. She recently co-authored ESSA: New Law, New Opportunity to illustrate how state leaders could use the new federal law to attract and keep needed talent.